We learnt a lot from our Cambodian friends in Phnom Penh last week. SIMC was involved in a Capacity Building workshop from March 28 – 29 with the Singapore Ministry of Law. About 20 participants from the Ministry of Commerce, Ministry of Justice, and the National Commercial Arbitration Center. 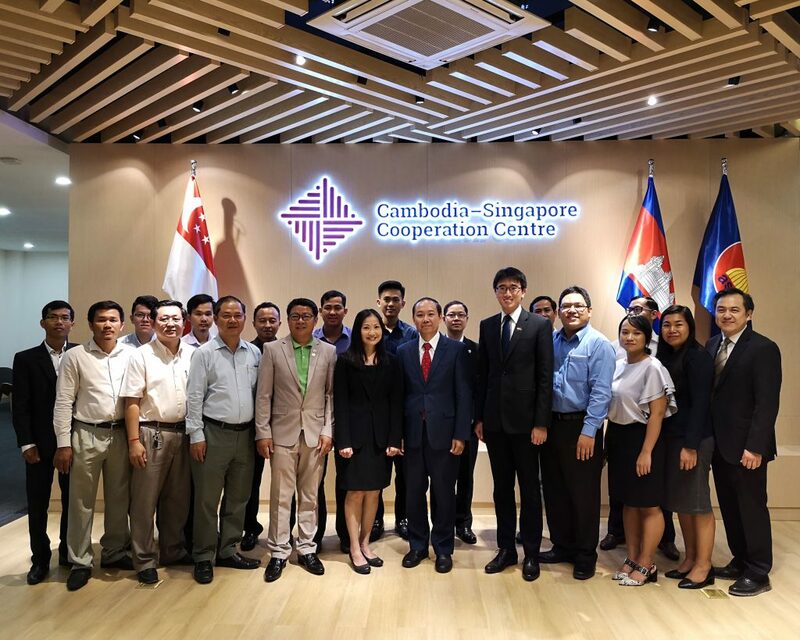 It was an opportunity for Singapore and Cambodia to exchange views and share experiences. The workshop was opened by His Excellency Pich Rithy, Under Secretary of State, Ministry of Commerce, and Sharon Ong, Director, Singapore Ministry of Law. 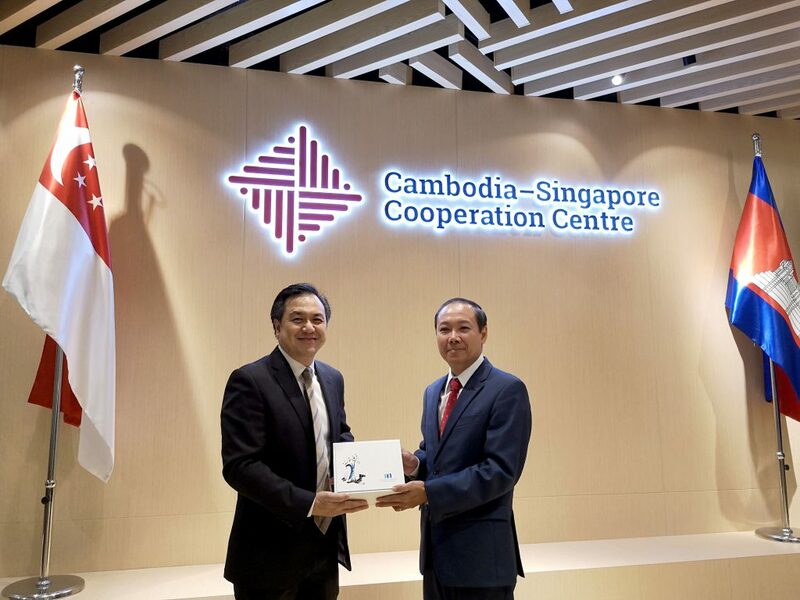 Singapore-Cambodia ties were reaffirmed and both sides stressed the importance of the Singapore Convention on Mediation, and mediation as a key element in promoting investor and business confidence. Signing the Convention would demonstrate a State’s strong support for a sustainable, harmonious means of dispute resolution. H. E. Pich Rithy (left of Sharon), Under Secretary of State, Cambodia Ministry of Commerce, and Sharon Ong, Singapore Ministry of Law (centre), and participants from the workshop. SIMC Director Mr Chuan Wee Meng presents a token of appreciation to H. E. Rithy. 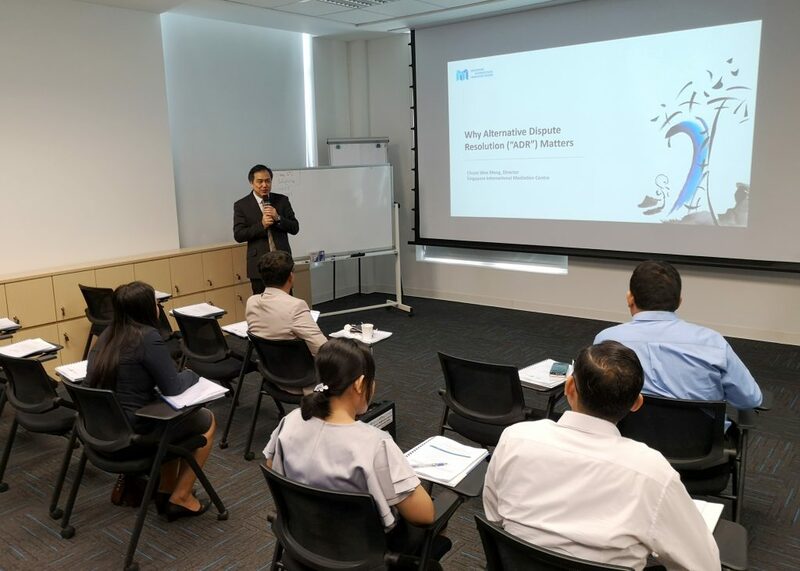 SIMC’s director Chuan Wee Meng and Sharon had the privilege of sharing the benefits and opportunities of the Singapore Convention on Mediation. We also covered why ADR matters and the mediation process. We closed off the workshop with setting up a successful mediation centre and training of mediation practitioners, with some case studies. Cambodia has a long tradition of mediation, and negotiation and compromise are preferred over adversarial means. Conflict resolution (or Somrohsomruel) values confidentiality, and disputes are first mediated by close relatives before escalating to a more senior person like a family elder or community chief. Similar to most Asian cultures, the Cambodian style of mediation is largely evaluative (ie: advising parties to achieve settlement), emphasises harmony, face-giving, and collaborative problem-solving. Why Alternative Dispute Resolution Matters. Our conversations with some participants also revealed a desire for Cambodia to build a robust dispute resolution infrastructure to attract and retain foreign investments. Mediation… would not only buttress international trade in future, it would also improve access to justice. Cambodia has been enjoying strong economic growth in the last few years and prospects for continued growth remain bright. Real GDP growth is expected to hit 6.9% in 2018. Foreign Direct Investment is healthy, accounting for an uptick in gross international reserves–10.2 per cent of 2016 GDP compared to 9.1 per cent in 2015. Some of the largest investors are from Japan, China and South Korea, in the telecommunications, construction and manufacturing sectors. The efficiency of mediation, as well as a cross-border framework to enforce an international settlement agreement would not only buttress international trade in future, it would also improve access to justice. We shared the Singapore experience and welcomed collaborations on how we could establish a culture of mediation advocates. We are grateful for the warm reception and exchange from Cambodia’s Ministry of Commerce.